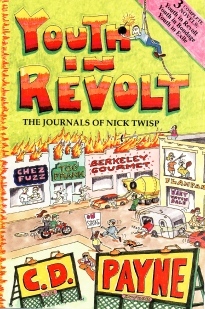 Original 1993 Aivia Press hardcover. All copies of this book are from the first and only printing of 3,000. Contains about 10 percent more text than subsequent U.S. editions. Note: Generally published as 3 separate books in Europe, as were the U.S. audiobooks. 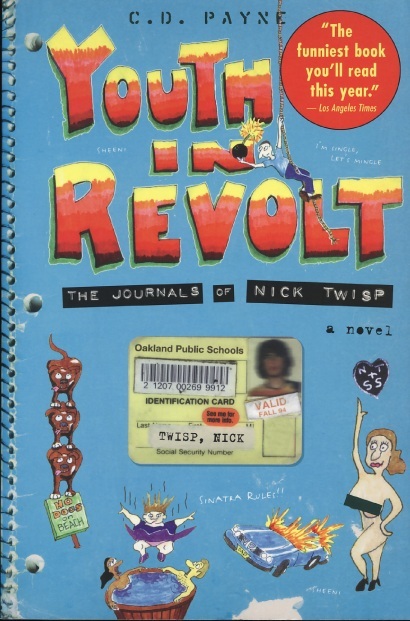 Meet Nick Twisp, a lonely teen in Oakland, California who aspires to a grander, more sexually fullfilling life. Since one of his ambitions is to become an over-sexed, alcoholic fiction writer, be decides to keep a journal. On vacation in Clear Lake he meets his "one and only love" Sheeni Saunders. Quickly his life jumps the rails as he conspires to be reunited with his love in distant Ukiah. Soon whole neighborhoods are ablaze as desperate Nick careers from one miscalculation to the next. Broadway Books, trade paper. Read a FREE PREVIEW. Also available for Kindle, Nook, iTunes, audiobook, etc. C.D. 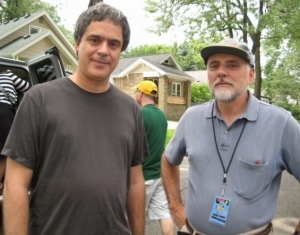 Payne (right) on set in Michigan with director Miguel Arteta. Payne appears briefly in the movie as a neighbor on a porch. Portia Doubleday starred as the ever-difficult Sheeni Saunders. 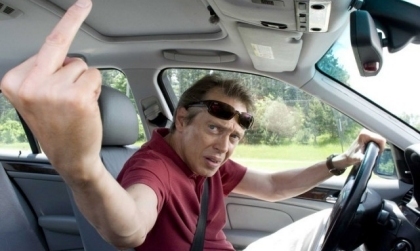 Steve Buscemi played Nick's loving dad George Twisp. 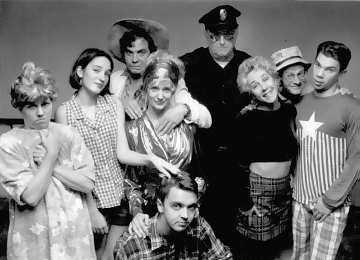 Youth in Revolt was adapted for the stage by Monica Taylor. Theater companies are welcome to inquire about staging performances in your area. "Nick is smart, alienated and resourceful, a kid whose verbal dexterity is amusingly out of phase with his sexual and social sophistication." 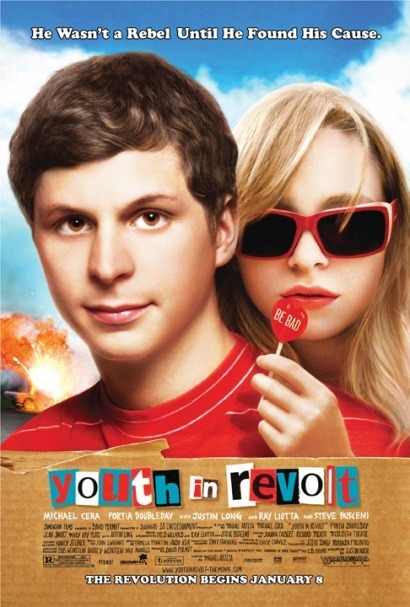 Youth in Revolt was done as a 7-part series on SWR Radio in Germany. 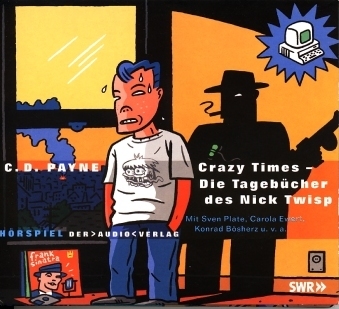 It is available (in German) on a two-CD set. 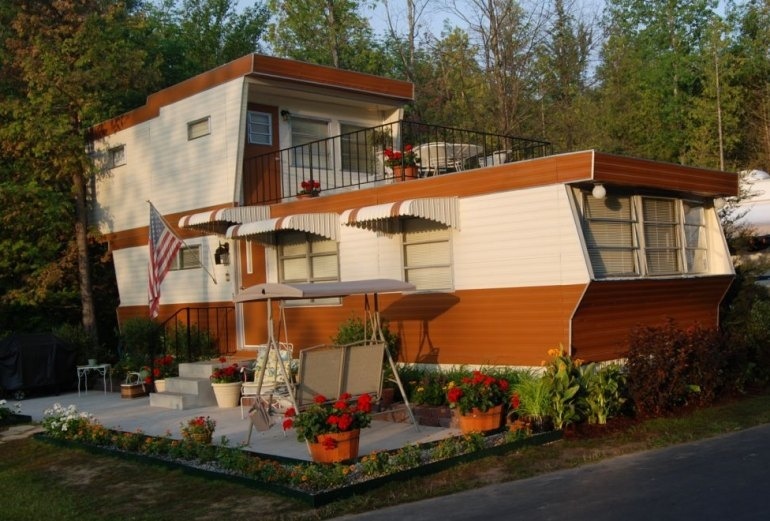 Two-story trailer set built for the movie. The production team went all out.